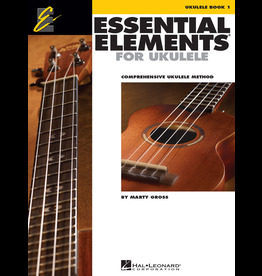 Essential Elements Ukulele Book 2 is a great next step for players who are ready to expand their knowledge of music and further develop their skills on the ukulele. 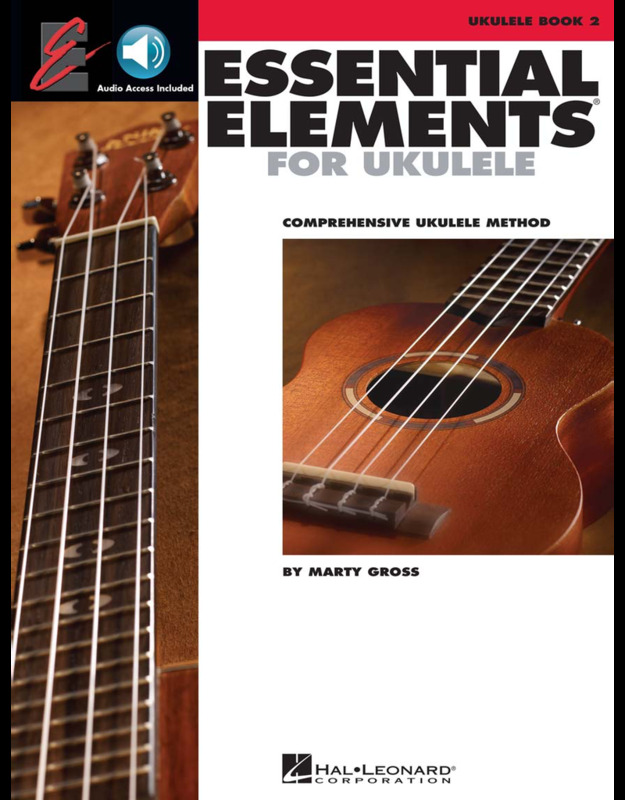 This comprehensive method book uses familiar and popular songs to introduce more advanced strumming options and fingerpicking techniques. A combination of traditional notation and tablature are used to illustrate new ideas. 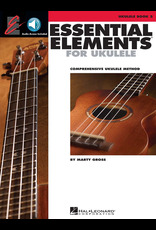 As in Book 1, the ukulele is used to explore concepts that apply to any instrument and can provide a basis for future musical experiences. The accompanying online audio provides demonstrations of songs and play-along accompaniments, making this method a nice framework for individual practice or group instruction. This book also includes many well-known songs, including: “Amazing Grace,” “Rock Around the Clock,” “This Little Light of Mine,” the Beatles' “Eight Days a Week” and “Yellow Submarine,” Bruno Mars' “Count on Me,” Jack Johnson's “Upside Down,” and “Somewhere Over the Rainbow” as made popular by Israel Kamkawiwo'ole.